At Breakstone, White & Gluck, P.C., our clients call us the best personal injury lawyers in Boston. Here, your case will receive the personal attention you deserve. Our attorneys have over 100 years combined experience handling personal injury and medical malpractice cases in Massachusetts. Our partners, Marc L. Breakstone, David W. White and Ronald E. Gluck, founded our Boston law firm in 1992. In 2017, we celebrated our 25 th anniversary of serving our clients. 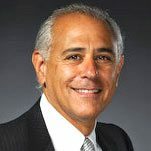 Marc L. Breakstone is a principal of the firm and concentrates in medical malpractice and complex personal injury litigation almost exclusively for plaintiffs. Attorney Breakstone has been recognized as a Top 100 New England Super Lawyer, Top 100 Massachusetts Super Lawyer and Massachusetts Super Lawyer in the area of medical malpractice. His settlements and verdicts include a $10.2 million settlement for the victim of ambulance negligence and $7.5 million for the wrongful death of a worker in a propane gas explosion. Attorney Breakstone is also known for his success in representing pedestrians injured in MBTA bus accidents. David W. White has distinguished himself for his advocacy on behalf of his clients and his leadership among Massachusetts lawyers. Attorney White has been selected as a Top 100 New England Super Lawyer, a Top 100 Massachusetts Super Lawyer and Massachusetts Super Lawyer in the area of personal injury representation for plaintiffs. He is a past president of the Massachusetts Bar Association and was honored with the President’s Award in 2017. His settlements and verdicts include $4.35 million for a construction accident victim and $2.5 million for his client who suffered severe burns as a result of a homeowner's negligent use of a fire pit. 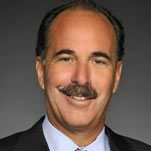 Ronald E. Gluck is a principal in the firm and concentrates in personal injury and professional liability litigation, primarily for plaintiffs. Attorney Gluck has been consistently recognized as a Massachusetts Super Lawyer in the area of personal injury representation for plaintiffs. His awards and settlements on behalf of clients include $3.75 million for a motorcyclist who was hit by a car and $2.5 million for a driver who suffered a spinal cord injury when he was hit by an 18-wheel truck. 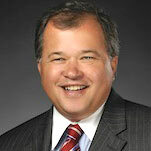 Attorney Gluck has represented numerous pedestrians who have been injured or killed by negligent and reckless drivers. He recently negotiated a $1.25 million settlement for a family who lost a loved one in a pedestrian crosswalk crash. 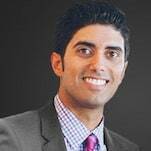 Reza joined Breakstone, White & Gluck as an associate in 2015. He has earned a reputation as a tough and tenacious litigator. As the firm’s associate, he has worked on cases that have cumulatively reached settlements or verdicts exceeding $20 million. Reza has published multiple pieces on the impact of technology on tort law specifically as to driverless vehicles and injury cases. Reza is a member of the Massachusetts Academy of Trial Attorneys and the Massachusetts Bar Association. He is conversant in Persian (Farsi) and Spanish. Each of our attorneys has the skills and experience to handle your injury case through to trial and appeal. In addition to personal injury and medical malpractice cases, our attorneys are experienced in representing clients injured in all types of auto accidents, including car accidents, bicycle accidents, pedestrian accidents, motorcycle accidents, truck accidents and bus accidents. In addition, we are highly experienced in premises liability accidents, product liability claims and construction accidents. You can learn more about us on our Case Reports page or on Google, where more than 100 past clients have shared feedback on our work. Attorney David White discusses GM auto recall on Fox 25 TV. Our cutting edge trial animations and reenactments to help win your case. We launched Project KidSafe with a simple goal: to keep children and families safe.